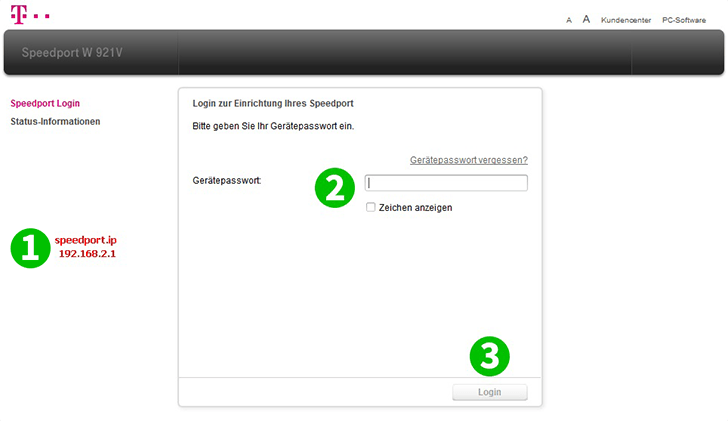 Type speedport.ip (without www) or 192.168.2.1 in the address bar of your web browser and press "Enter"
Enter the router password. If you haven't set a password yourself, it can be found on the back of the device. Click on "Port diversions and port forwarding"
Port forwarding is now configured for your computer!